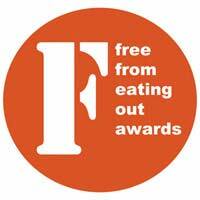 You are here: Home / Eating Out Gluten Free / When is a food ‘Free From’? When is a food ‘Free From’? Is it just me, or is anyone else concerned – or confused – about Boots’ latest promotional idea? I had an email from them marketing their latest labelling idea – that products sold by them which are free from artificial colours, artificial flavours, hydrogenated fats and flavour enhancers should be labelled as Free From. Now, I’m all for products without artificial colours and flavours etc, and commend Boots for their intention of labelling to help consumers, but surely ‘Free From’ (when used with respect to food, anyway) means free from at least one of gluten, wheat or dairy? It is used by Tesco, Sainsbury’s, Waitrose, Asda and Morrisons to mean exactly this. (For those visitors not based in the UK, these are our five biggest supermarkets). And yet Boots have decided to use it for a completely different purpose. OK, so companies have the right to use language as they choose – within legal and ethical bounds, obviously! – but I’d have thought this was at least potentially misleading.